M-Brace makes soft orthopedic braces and supports for the spine, abdomen, back, shoulder, arms, wrist, and legs. M-Brace braces and supports feature unique Italian styling and use of soft cotton velour materials which is why M Brace has become a favorite brace of top physicians worldwide. M Brace soft supports feature a low profile design and feature 100% natural fibers throughout for breathable comfort with all day wear and rehab. 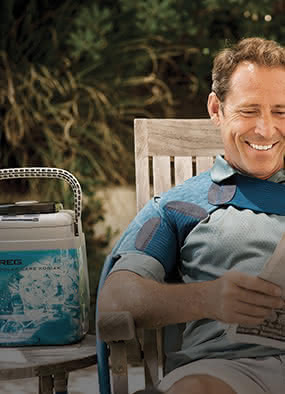 M Brace products feel great and provide outstanding support. DME-Direct physically warehouses the M-Brace line of orthopaedic soft-good braces including wrist splints, knee braces, back braces and more. Search our categories below to find your favorite model. Official M-Brace Distributor - 100% Authenticity Guarantee - Ships Today.